Guests to CANVAS will have the opportunity to join a group of 15 international artists – both emerging and established – in the transformation of a space from a blank canvas into a living work of art. The artists will create evolving works of art over the course of the four-day event, using the floors and walls of the venue as their canvas. 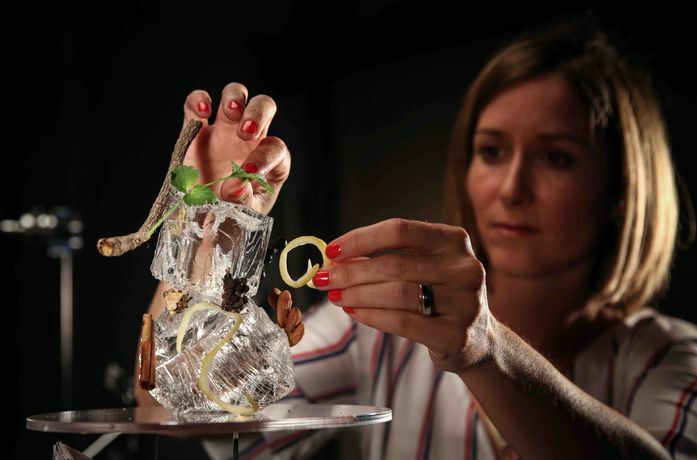 The event will also offer guests the chance to explore the endless possibilities for creative personal twists on BOMBAY SAPPHIRE gin cocktails. UK artists who will contribute to the creative event include signwriter and glassgilder Alex May Hughes, illustrator and designer Josh McKenna, and graphic artist Supermundane, who will be joined by fellow creatives and artists from Spain, Germany and The Netherlands. On arrival, guests to CANVAS will be invited to stir their creativity at the BOMBAY SAPPHIRE and Tonic Wall which features a range of G&T-on-tap options. Guests will select from one of four colours and flavours. At the bar, mixologists will serve the CANVAS cocktail; a white-coloured BOMBAY SAPPHIRE cocktail designed with creativity in mind. Guests will then be invited to enter the ‘Cocktail Finishing Studio’ to pick up a brush and personalise their cocktail with flavoured edible paints that have been designed to complement the botanicals found in BOMBAY SAPPHIRE. “CANVAS will be a completely interactive experience and a celebration of international cocktail creativity. 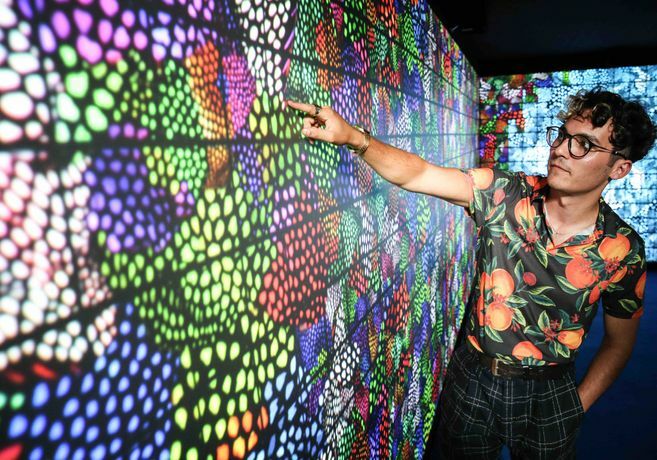 From the BOMBAY SAPPHIRE and Tonic Wall to the live artwork being created in front of their eyes, Londoners will witness something completely unique across each night of the event, as the space evolves from a blank canvas to a colourful work of art”, says Renaud de Bosredon, BOMBAY SAPPHIRE UK Brand Ambassador. Tickets are priced at £12 and can be purchased by visiting www.bombaysapphirecanvas.com. 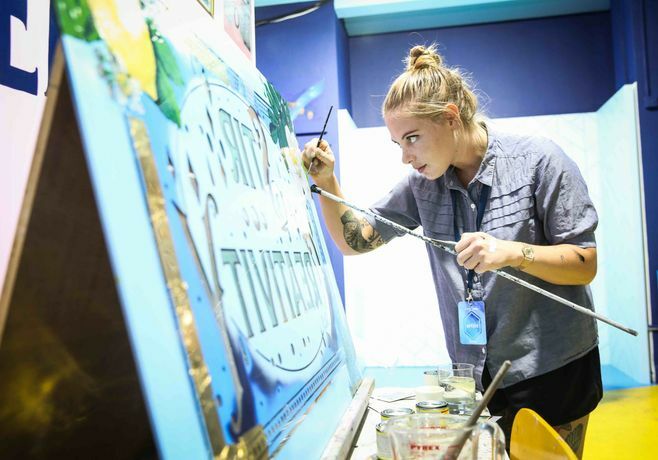 As part of the global mission to Stir Creativity, BOMBAY SAPPHIRE will donate all ticket sales proceeds from the CANVAS London event to charity Developing Artists. Throughout 2018, BOMBAY SAPPHIRE will work with dozens of emerging and established artists at CANVAS events across Europe, taking place in the UK (Manchester), Germany, Netherlands, Belgium, France and Spain. BOMBAY SAPPHIRE is leading a global mission to ‘Stir Creativity’ – a call to arms for everyone to engage with their creativity and unlock their creative potential.